Are Frigidaire chest freezers infinite in their variety? Why are Frigidaire Chest Freezers Bestsellers? Well, because Frigidaire chest freezers—renowned for their non-frills design—come in a variety of sizes and with impressive feature choices. So, whether you live alone but need a compact freezer in order to reduce the frequency of your shopping trips or have a large family and would like to save some money by buying groceries in bulk, you will likely find the perfect Frigidaire freezer chest. But here is a tip that will make this exercise much easier: you can shop by size, energy efficiency, ability to lock, color and even store. Frigidaire chest freezers come in a variety of sizes that range from 5.0 to 24.9 Cu. Ft. capacities. 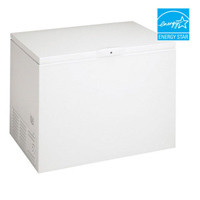 While the chest freezers in this category do not feature any advanced functions, they a good option for students, singles and small families that are looking for a tried and tested compact freezer. Here are is a primer on the chests with capacities of under 10 Cu. Ft. The 2 smallest Frigidaire chest freezer models—FFC0522DW and FFFC05M4NW— have capacities of 5.0 Cu. Ft. Both come with a storage basket, power-on indicator light and adjustable temperature control. Differences relate to the location of the temperature control and the weight (at 80 lbs, the FFFC05M4NW is 14 lbs lighter). Frigidaire offers 3 models with capacities of 7.2 Cu. Ft. All 3 (FFFC07M4NW, FFC0723DW, and FFC0723GB) come with a power indicator light, adjustable temperature controls and a removable storage basket. The differences relate to color, dimensions and the location of the power cord. Of the 3, only FFC0723GB is black; the other 2 are white. The adjustable temperature control for the FFFC07M4NW is located on the bottom right side exterior; it’s on the bottom left side exterior for the other 2 models. FFFC07M4NW has a slightly wider, less deep frame, measuring (WxHxD) 37-1/4 in x 32-1/2 in x 22 in. To put these in perspective, the other 2 models measure (WxHxD) 35 in x 34-1/4 in x 23-1/4 in. The next size up is the 8.8 Cu. Ft. where Frigidaire has 2 models to its name; FFC0923DW and FFCH09M5MW. Both are white but the latter is Energy Star certified. If the small chest freezers aren’t quite large enough, it might be a good idea to take a good look at Frigidaire’s medium size chests with capacities of 12.9 Cu. Ft. and 14.8 Cu. Ft. The 12.9 Cu. Ft. chest freezer model is the white Frigidaire FFCH13M2MW. Besides energy efficiency certification, it comes with a lock with a pop-out key, power on indicator light, adjustable temperature control and bright interior lighting. The 14.8 Cu. Ft. FFCH13M2MW has several interesting standout features. These include Energy Star qualification, a lock and keys, power-on indicator light, mechanical temperature control and bright interior lighting. If you have a large family and are looking for a reliable large chest freezer, you may want to check out Frigidaire’s 19.7 Cu. Ft. and 24.6 Cu. Ft. models. The 19.7 Cu. Ft. FGCH20M7LW comes with everything from Energy Star certification, lock and keys, power-on indicator light, and Frigidaire’s proprietary food organization system that you won’t find on the smaller models. The 24.6 Cu. 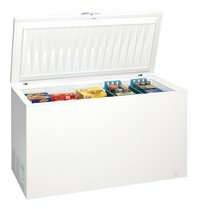 Ft. FGCH25M8LW is the largest residential chest freezer on the market today but is surprisingly easy to operate. Its benefits? Energy efficiency, lock and keys, power indicator light and Frigidaire’s patented food organization system. Investing in a lockable chest model helps to childproof your appliance, ensuring the safety of your kids or even grandchildren. It’s also a good way to secure your food investment by keeping pilferers at bay. 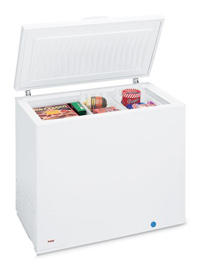 Frigidaire offers a range of lockable chest freezers. None of Frigidaire’s compact freezers is lockable. But many medium and large chest freezers come with a lock and keys. The smallest of these is the 8.8 Cu. Ft. FFCH09M5MW model, whose other distinction is Energy Star certification. Next up, and offering nearly 50% more capacity, is the 12.9 Cu. Ft. model that is also certified to be energy efficient. The two 14.8 Cu. Ft. models, one of which is Energy Star qualified and the other part of the luxurious Gallery series are next up. 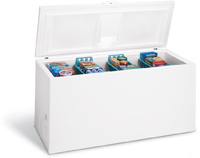 The next size up in the range of lockable Frigidaire chests is the 19.7 Cu. Ft. Gallery model. The 24.6 Cu. Ft. Frigidaire chest type freezer, the largest in the lockable range, is next in line. And, it’s a good place to safely stash away large food investments, thanks to its enormous cavity. Energy efficient chest freezers help to keep your monthly energy bill in check and create a healthier environment for us all. The runway favorite for buying a Frigidaire chest freezer from is Lowes. Is it the store’s exceptional customer service that sets it apart from the crowd? Or its amazing online promotions? For me though, it’s the FREE delivery. That way, you don’t have to click through countless screens and go through the arduous checkout process for you to know the final cost of a freezer. Basically, with free shipping, what you see is what you pay. Which Frigidaire chest freezer catches your fancy? 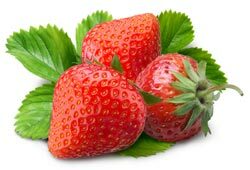 Investing in a freezer enables you to shop in bulk and rake in massive savings on one of the necessities of life—food. If you are looking for a trusted brand that takes the guesswork out of preparing fresh, nutritious meals for you and your loved ones, a Frigidaire chest freezer is right up there with the best of them.